LaGrange College has a lasting influence on not only its students but also its community, said Dan McAlexander during his annual State of the College address Thursday. From an economic standpoint, McAlexander pointed to the college’s $42 million budget, 1,000 students, 200 faculty members and 50 outsourced employees with Aramark, National Management Resources and Securitas. There is also the college’s influence on the local workforce. Culturally and spiritually, the college offers free lectures through the 3D Journeys program, as well as fine and performing arts presentations. It also has served as funding and founding partners for Circles of Troup County and the Racial Trustbuilding Initiative. To demonstrate how the college affects the community, McAlexander turned his attention to eight of the young leaders featured in the LaGrange Daily News’ recent “Twenty Under Forty” publication. “Almost half of them are graduates of LaGrange College or serve in leadership roles here,” he said. He then presented a video that showcased each honoree, who talked about the impact the college had on their lives and careers. They included Bethany Headrick ’04, M’07, director of Hillside Montessori; Chase Hall ’10, financial advisor with Edward Jones; Kayla Yeargin ’10, M’11, math teacher and 2017-18 Troup County Teacher of the Year; Trae Long ’12, CPA with Gay & Joseph; Hill Daniel ’13, Troup County Felony Adult Drug Court; Henry Jacobs ’13, outreach coordinator with Chattahoochee Riverkeeper; David Kelton ’13, Panther Head Baseball Coach; Lauren Venters ’17, development specialist for Circles of Troup County; and Curtis Brown Jr., marketing consultant and a member of the college’s Leadership Council. Following the presentation, McAlexander introduced the honorees, as well as faculty mentors they credited with influencing them during their time at the college and after graduation. “We have a terrific faculty that fosters a relationship-driven learning environment,” he said. In today’s world, a liberal arts education has proven to be the core of successful employees, McAlexander said. These surveys look at how engaged people are in their jobs and their lives, 10 years after graduation. Although the college does guide its students to be part of a workforce, its purpose is greater, he said. He urged the attendees to think about what the college does in terms of affecting future generations, and to advocate for higher education every chance they get. “Make no mistake about it,” he said. “Higher education is under threat. We are seeing a negative environment in the world and a negative environment politically for what we do. Institutions like this are important. 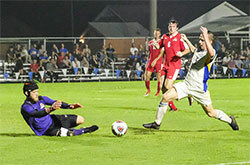 Jude McEvoy’s goal in the second overtime gave the Panthers (2-1) a 4-3 win at Pensacola Christian on Thursday. McEvoy had two goals in the game and was named the USA South Rookie of the Week for the week ending Sept. 2. 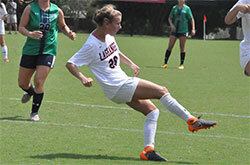 The Panthers (1-1-1) lost 3-0 at Piedmont on Wednesday. Freshman Zoe Watts was the USA South Rookie of the Week for the week ending Sept. 2. Watts had four goals in LC’s 5-0 win at Judson last Friday. The Panthers’ fourth-quarter rally fell short in a 34-28 loss at Birmingham-Southern in the 2018 season opener. Quarterback Kelly Hall threw for two touchdowns and ran for another. 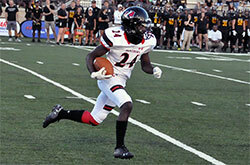 LC hosts Berry in Callaway Stadium on Saturday at 6 p.m. 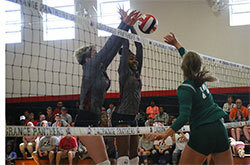 The Panthers split matches with Methodist and Toccoa Falls last Saturday in Richter Gym. LC beat Toccoa Falls 3-1 as freshman Paeton Robinson had a double-double of 11 kills and 21 assists. The Panthers play in the Millsaps Invitational in Jackson, Mississippi, today (Friday) and Saturday. 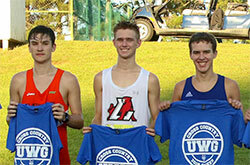 Freshman Bryan Storie finished eighth to lead the LC cross country teams at the West Georgia Invitational last Friday. The teams will compete in the Huntingdon Invitational in Montgomery, Alabama, on Saturday. The Office of Alumni and Community Relations will be sponsoring “Pounce Around Town” events in the coming months. The first one will be from 5:30-7 p.m. Sept. 20 at Beacon Brewing Co. at 700 Lincoln St. in the Hillside community. The LaGrange Panthers vs. Apprentice Builders (Newport News, Virginia) pep rally will feature snacks and the choice of a Beacon’s beer. All alumni are welcome, and the first 20 attendees will receive complimentary tickets to the Panthers football game against Apprentice on Sept. 22. For more information, contact alumni@lagrange.edu or 706-880-8244. The deadline for registering for intramural flag football has been extended to 6 p.m. Sept. 14. For more information, contact Mike White at mlwhite@lagrange.edu. Don’t forget about the traveling exhibition, “Against the Odds: Making a Difference in Global Health,” running through Sept. 29 on the main floor of Lewis Library. Developed and produced by the National Library of Medicine, National Institutes of Health, the exhibition is free and open to the public.